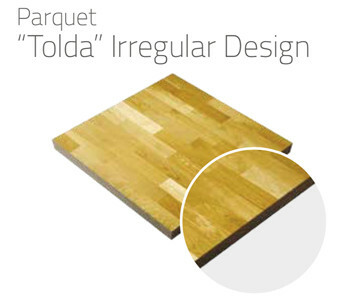 In the table are presented all the possible combinations of panels and coverings. For a guide to the choice, please see the following sections. The technical specifications in the following sections give a general indication on the characteristics of the coverings and refers to average values of the most common suppliers. Only technical data guaranteed by the supplier of the specific material, available on request, are the exact parameters of reference. Decorative high pressed laminate made of different layers of kraft paper bound with thermosetting resins and one or more superficial layers of decorative paper bound with melamine resins, characterized by high performances of electrostatic charge dissipation. Plastic laminates, originally used in technical rooms and data centers, are currently installed in offices and commercial spaces where there is no particular need of acoustic insulation. Plastic product, homogeneous, resilient and calendered, made of polyvinyl chloride (PVC), plasticizing and stabilizing resins, inert materials and colored pigments. Vinyl is mainly used in offices, schools, hospitals, laboratories and technical centers with various electric properties and final protection layer (polyurethane). Extended acoustic improvements are also available. It has an high resistance to acids. 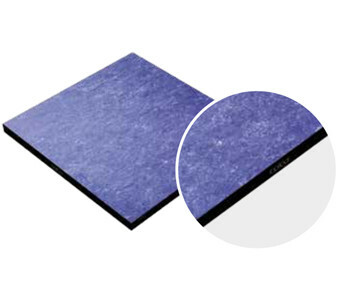 Civil floor, made of 100% synthetic rubber, not regenerated, calendered, vulcanized and stabilized. In the monochromatic based, some grains of the same composition but different colors are inserted. The surface is smooth and the finishing is opaque, not porous and impermeable. During the production, a natural treatment eases the future cleaning and dirt removal. Rubber is used in public offices, schools, commercial centers, hospitals. 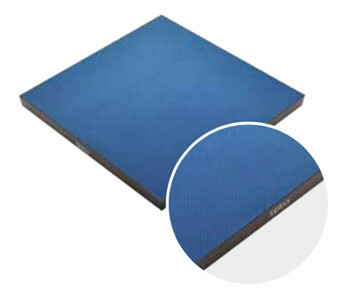 It has high resistance to loads, wear and has a long duration in time. Resilient floor made of natural raw materials: linseed oil, wood flour, cork flour, colored pigments calendered on natural jute textiles. Ecologic antistatic product, resistant to oils, greased acids and alkali. 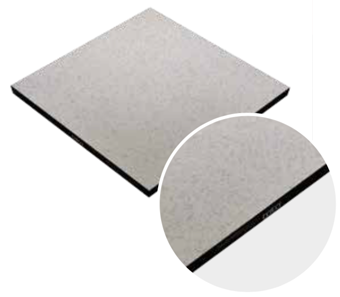 Linoleum is mainly used in offices, commercial centers, schools, hospital and medium traffic rooms where a product with significant ecologic characteristics is needed. 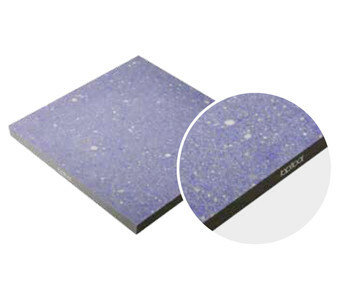 Bright and polished calibrated slabs to glue on panel without side bordering. Natural stones can be used without any limitation in the representation offices and in building terminals (halls, lift rooms, etc.) where the traffic is notably high. The nature of the material and cutting operations allows lower tolerances and possible chromatic differences. Product obtained by mixing ceramic clays, feldspars, kaolin and sand. All the raw materials are first grinded then finely atomized to reach a powder with homogeneous granulometry, suited to be pressed. Cooking at 1150-1250 °C determines ceramization/vitrification of the mix, giving to it the typical characteristics of robustness, impermeability and longevity. of prices. There are no limits in use except for environments that need high acoustic absorption of reverberation. 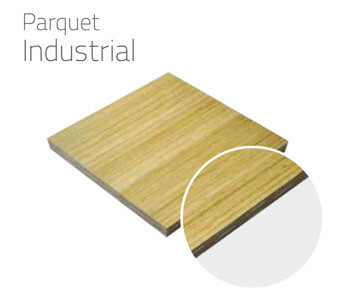 Natural wood finishing, FSC certificated, made of laminas (4mm of thickness) and dimensions depending on a set of possible drawings, resistant to mechanical effects of expansion and contraction of the solid wood; micrometrical precision of joints, multilayer painting resistant to abrasion and without formaldehyde. 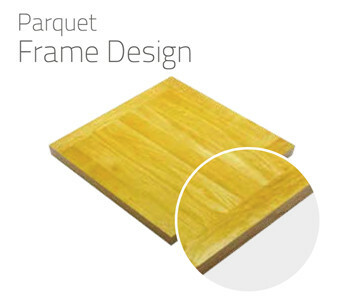 For the application on raised access floor, parquet can be glued on both wood chipboard and calcium sulphate panels. Many essences and geometries are available. Wood essence floorings, with an high aesthetic value, are suitable for representation office, both for office and commercial centers; particular attention is to give both during storage, installation and use, due to the sensibility of the wood to temperature and humidity variations. Natural wood is also sensible to change of color (oxidation) depending on the exposure to the light. It is important that, after the installation, the relative humidity range is between 40% and 60% as, outside these values, wood structure can present deformations. Carpet, PVC, Linoleum. Dimensions 600×600 mm, thickness from 3,5 to 6,5 mm, coupled with acoustic backing. Also avalaible with magnetic and acoustic backing. 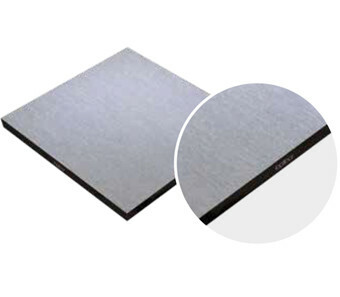 Ceramic with protective edge-trim coupled with cork acoustic backing thickness 2mm; also available with acoustic magnetic backing. Dimensions: 600×600 mm, 300×300 mm, 300×600 mm. 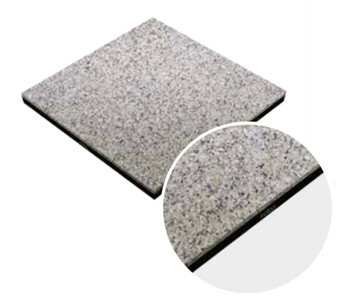 Marble/granite with bevelled edges coupled with a cork acoustic backing thickness 2mm; also available with acoustic magnetic backing. Dimensions: 600×600 mm. Special dimensions upon request.